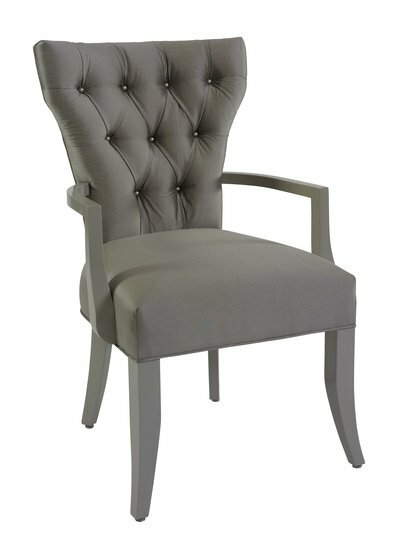 Atelier 2 is an exquisite chair with a luxurious platinum colored satin on the inside back and seat and a stunning metallic silver faux tooled leather on the outside back. 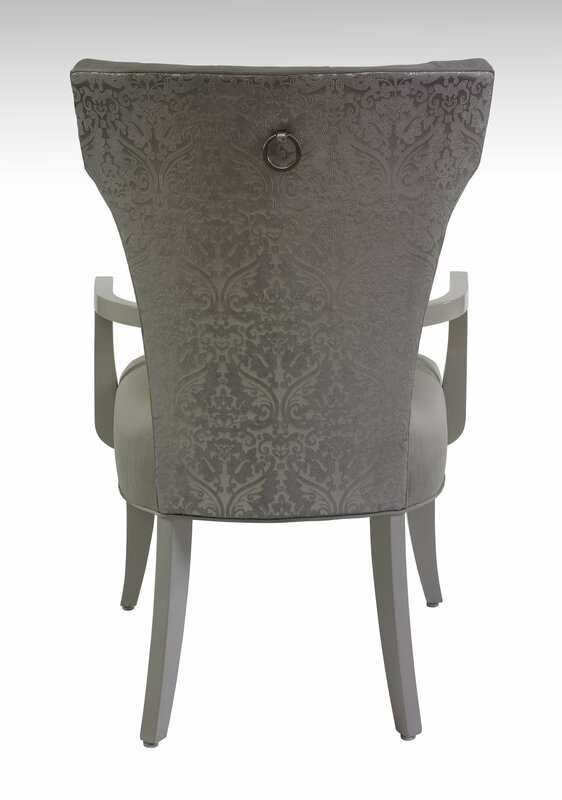 The tufted inside back is adorned with Swarovski crystal pearls in platinum. On the outside back is a satin nickel pull ring having a Swarovski® Chessboard Crystal accent at the top center point that adds just the right element of jewelry to compliment the faux tooled leather. The exposed wood legs and arms are finished in a high gloss grey-tone finish called Palladium. The Atelier 2 side chair is another classic dining chair taken to a new high style level by combining luxurious fabrics and legendary Swarovski® Elements on this silhouette creating a sophisticated look that is both beautiful and glamorous.